Performance tracking is a major function of modern day schools to improve and better overall results. In the world of computers, that we live in today, online student result applications helps track the performance better. In a highly competitive world where the need, pressure, and attraction to acquire more and more skills are common, it becomes essential that you monitor the progress being made in each of those skills. Storing of data, analysis, reporting etc are some of the clerical jobs associated, which consumes good chunks of your time, meaning the parties involved spend a lot of time doing the calculations etc and not working on improving the skills. But with improved and high quality school management systems, that has online student result from the web application; the clerical jobs are being automated and done by computers with intelligent programs written by software technicians. 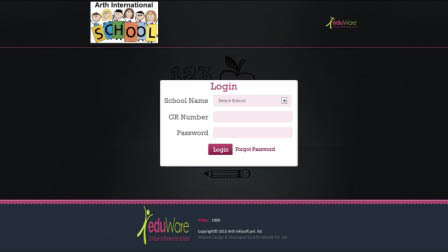 Reputed offshore software development company Arth Infosoft’s school software, the computerized school management system, features many such sections that help schools, students, and parents keep a track of performance, monitor and take steps accordingly. 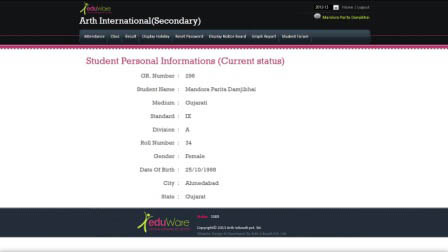 The online student web Application of eduWare school software helps you to monitor performance in every aspect from attendance to subject wise or exam wise marks. The application not only gives you an in-depth analysis of performance on all the parameters that affect student’s performance but also gives information about schedules and any important notices issued by schools. Attendance: Attendance is an important parameter, being regular to school, classes helps students retain lessons delivered and also helps them make new friends, become social. The attendance section/Tab gives the details of Total working days in a particular week/month and the number of days a student has attended the school. Class: The class tab of the online Web result section gives information about the schedules, time table of the class, the student belongs to. It helps in prioritizing student’s home work, and allocation of study hours for different subjects, etc. Result: The result Tab displays exam wise result; marks obtained by student in various weekly, monthly tests are displayed examination wise. 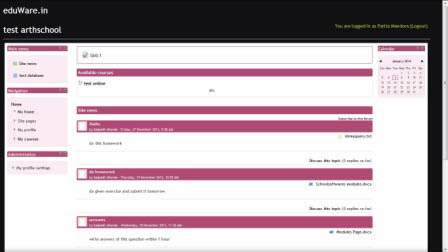 Display Holidays: The Holidays tab gives a detailed list of holidays for the academic year, so students can plan their study hours and other school activities accordingly. Reset password: The first time you access the application, you can change the default password to a password of your choice, so only you can access your performance information. Display Notice Board: Under this tab, you can see all the important information that the school announces, Holidays, exams, fee particulars, sports, cultural events related, any information the school announces on notice board can be seen here. 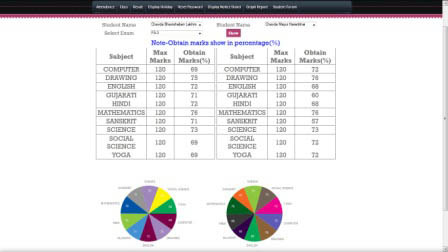 Graph Report: The most important section of online result web application, where in you can check the results of the student. The results are analyzed in-depth and are presented in an easy to understand graphical method. You can see the subject wise results in a line chart graph method. Also, a comparison of results is presented; you can compare the marks obtained in each exam, compare results of a student against each student in a particular examination wise and also subject wise. Student Forum: Places where students can socialize discuss subjects, news, arts, hobbies etc.